We left Christchurch this morning and head south across the flat and rather boring Canterbury plain. It is prime farming country with arable crops, diary farms and some sheep lining the road. 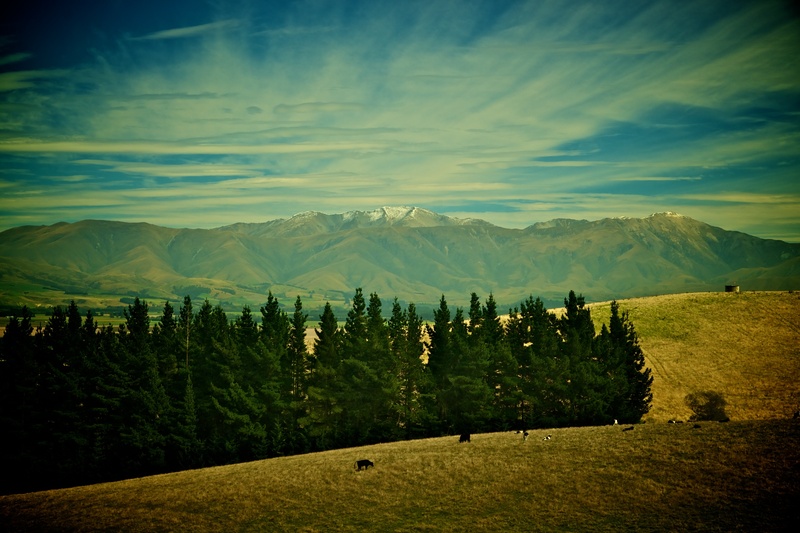 To our right we got tantalising glimpses of the New Zealand Alps snatched between trees and the ugly high hedges which are put everywhere to protect crops and stock from the wind. Eventually we turned right and headed towards the Alps. The countryside got prettier as it changed from flat plain to ruling hills and the mountains got higher. We started to climb more seriously and then came through Burke’s Pass and into Mackenzie Country, named after the Scottish shepherd James Mackenzie who first explored the country beyond the pass. 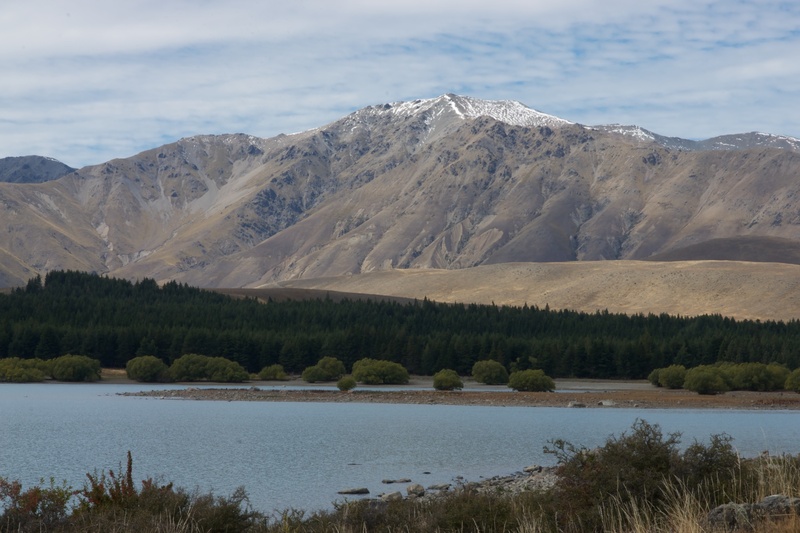 The picture above of Mt Edward (1916m) was taken at the start of Mackenzie Country. A few miles later we got to Lake Tekapo, a glacial lake fed from the Alps. The picture below shows the hills across the lake. At the side of the lake is a monument to James Mackenzie and his sheepdog, and it has become the fashion to build small cairns along the lake side in memory of the dog (which, in the fashion of the times is I suppose presumed to have higher instincts than his owner). The picture below shows one such cairn, of the many hundreds along the shore, with the mountains behind. 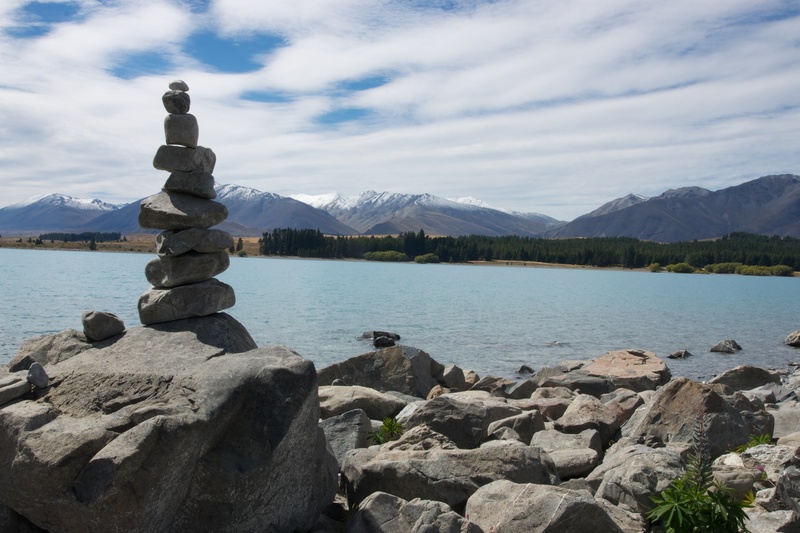 Posted in New Zealand, Photography, Travel Photography and tagged Lake Tekapo, Mackenzie Country, Mount Edward, New Zealand, photography. Bookmark the permalink.